All the fighters slated to participate in tomorrow night’s “UFC on FX: Belfort vs. Bisping” event tipped the scale Friday inside Ginasio do Ibirapuera in Sao Paulo, Brazil. 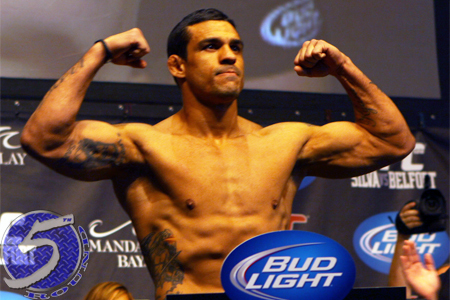 Vitor Belfort battles Michael Bisping in Saturday night’s featured contest. Another middleweight scrap between C.B. Dollaway and Daniel Sarafian serves as the co-main event.